There is still some work to be done on the next-generation Hyundai i30, with towing tests seemingly that latest stage of development. 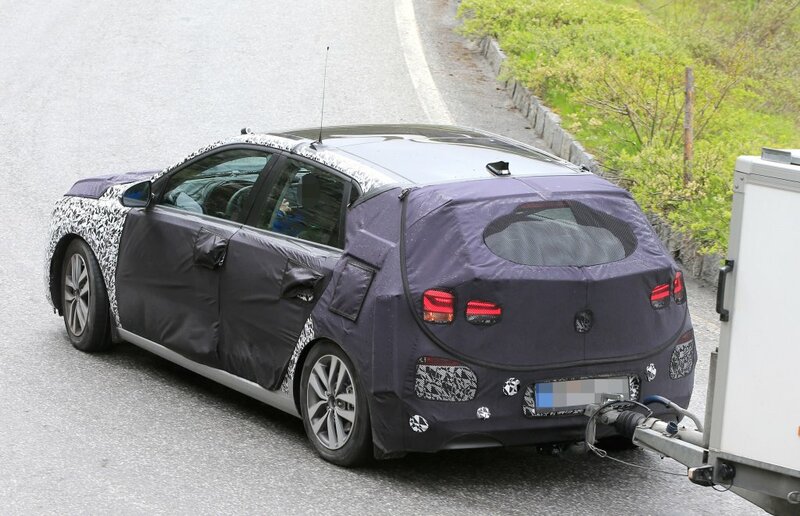 The good folks at SB-Medien caught a glimpse of the Hyundai i30 5-door hatchback being tested in the Alps, and it had a trailer in tow. This is not really major news, as just about every car in the industry goes through some sort of towing exercise before being released. What is big about this sighting is that the vehicle was seen with a lot less camouflage than before. 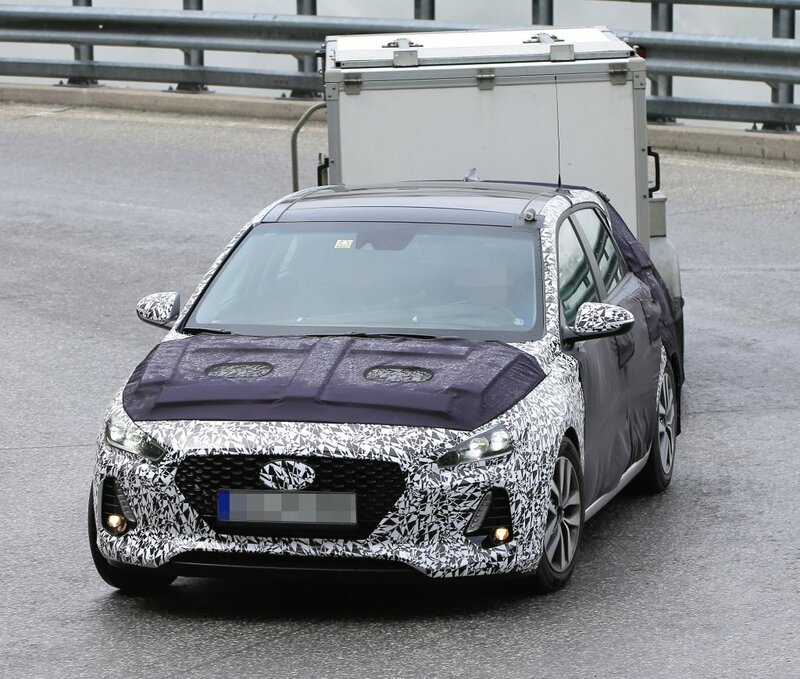 The latest 2017 Hyundai i30 spy shots reveal a prototype vehicle that is very close to production. They also provide us the very first good look at the car’s front-end styling . 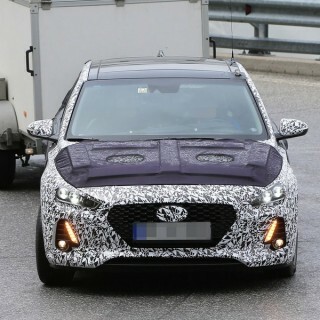 The signature grille and Hyundai logo have been covered up, but there is still no mistaking that this is the next-generation i30. You can still notice a fully re-designed front bumper, as well as the new headlight and fog light set-up. There is less to see with the profile and rear end, as that is where the camouflage is at its heaviest. The latest version of the Hyundai i30 will be the third-generation of the hatchback, and it will arrive a full 3 years after the most recent facelift. The time between redesigns makes the i30 the oldest in the Hyundai line-up, which does little to attract new drivers. Hyundai are asset to put that right when the next-generation model arrives, and they will continue to go after Ford, Volkswagen, and all the other major players in the compact segment. 1. The 2017 Hyundai i30 release date has been officially announced. 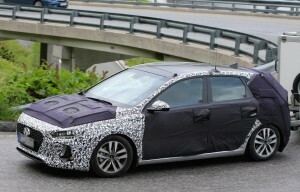 The automaker plans to launch the new generation i30 model at the upcoming Paris Motor Show. 2. On sale date has been revealed. The new Hyundai i30 goes on sale in spring 2017. 3. The i30 engine range will offer a number of turbocharged petrol engines. 4. There’s an i30 N hot hatchback in the pipeline and we expect it to be launched in 2017. Expect the model to boast around 250 horsepower. 5. 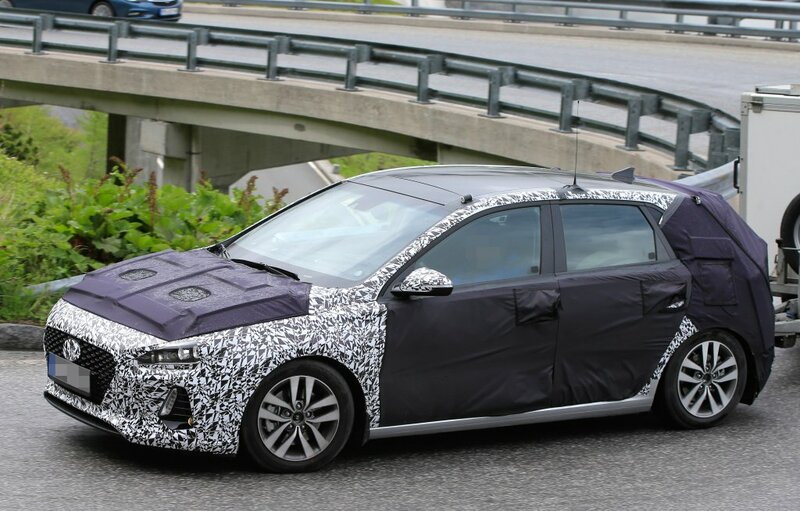 Hybrid model – there are rumors tha Hyundai will also launch the 2017 i30 hybrid car. Nothing official yet, though.